Kalpa is perceived to be a land of fairy tales and fantasies which has spectacular lush green valley, vineyards, snow clad mountain of mighty Kinner Kailash(6050m) and Jorkanden (6473m), grab your eyeballs and don’t let go.Reached by a winding 7km road up through pine woods and apple orchards from RekongPeo, Kalpa is thebase of few most beautiful treks of India. It also is the home of Shyam Saran Negi, the first voter of Independent India who celebrated his 100th birthday in July 2017. 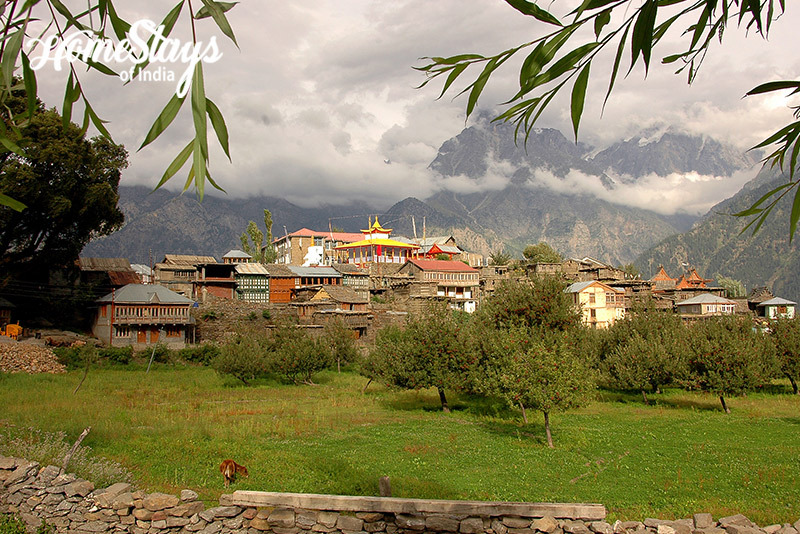 It is a little gem of the village and probably the only one homestay in Kalpa. 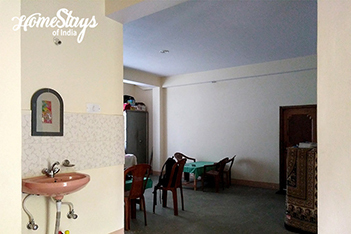 Located just 100 mtr from Kalpa bus stand, in middle of an apple orchard, it was built by Rajesh Negi in 2012 when Govt approved Homestay Scheme Himachal. It’s a peaceful place conducive to meditate, to relax and to balance your energies. 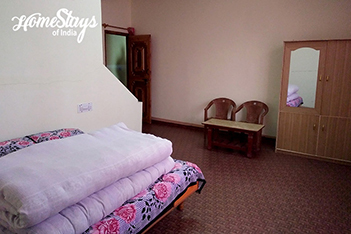 Consisting of 3 spacious guest rooms, all with attached toilet, it has a common sitting area to socialize with fellow travelers with hot masala tea. 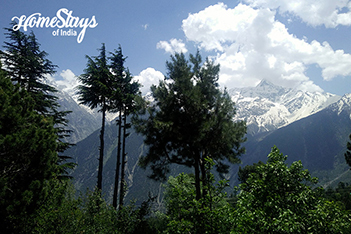 You can also bask in the garden while admiring the beauty of Kinner Kailash. Rajesh Negi is a farmer and a very social person. He takes care of the home with wife Kalpana. Apart from farming he likes to guide his guests on hidden treks around Kalpa. Kalpana is the in charge of the kitchen. She serves freshly cooked Kinnauri cuisine and North Indian food. Most of the vegetables come from own organic farm. Breakfast is served as per guest choice like Paratha with curd or tea, Sandwich, Butter Toast, Bread Omelette or Puri Bhaji. Dinner is mostly traditional Indian food. Non-vegetarian food can be served on advance notice. Trek to Tsaka (day trek) • Kinner Kailash Parikrama (6 day) • Village Walk, Trekking • Hiking •Jungle picnic. 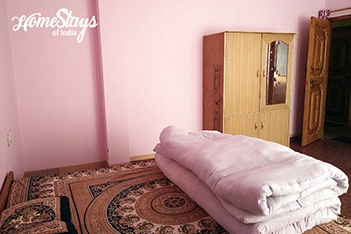 And if you are plnning to go further up to Spiti Valley, homestays in Spiti Valley might interest you.